The Big Kidz Foundation is the philanthropic vision of Grammy award-winning member of the rap group Outkast, Antwan “Big Boi” Patton. Big Kidz’s focus is to increase underprivileged children’s understanding of the importance of education and overall knowledge. Since its founding in 2006, Big Kidz commitment to cultural exposure through musical and literary expressions and invaluable experiences of travel has created a strong relationship with providing visually stimulating content for its young audience. In 2014, the Big Kidz Foundation decided to partner with East Point Atlanta’s new Wal-Mart and generate a coat-drive for needy families in the community. 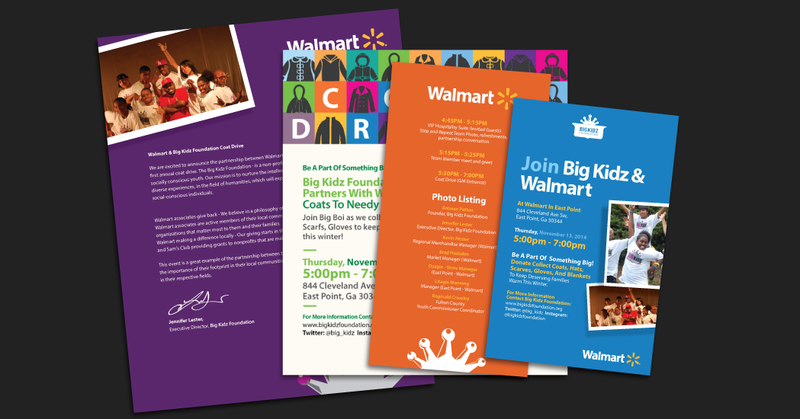 When traditional design firms could not produce an attractive direct mail representation of the new partnership’s charity event, Big Kidz received a colorful-theme based on Wal-Mart’s brand standards from the members of QJS. 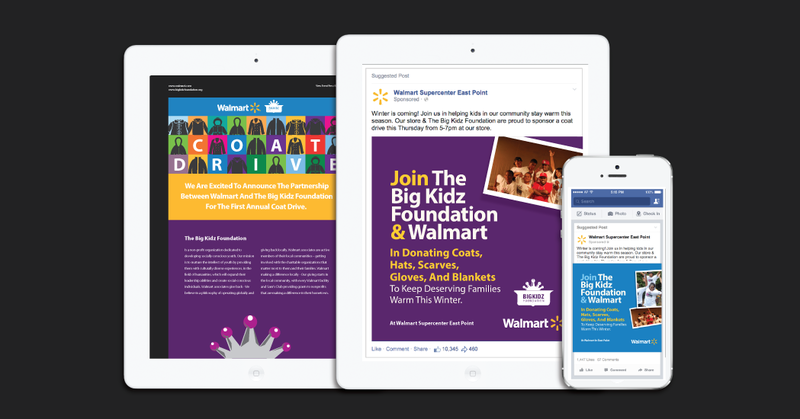 The Wal-Mart and Big Kidz Coat Drive campaign’s direction would decoratively express the occasion and be implemented across the print and digital media platforms. The idea to incorporate cost-effective design concepts, received instant praise from the foundation and company’s leadership and their growing audiences. 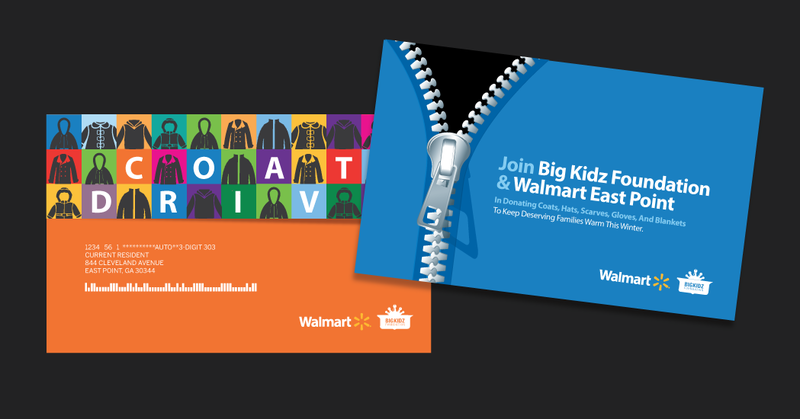 The campaign’s materials equally showcased the Big Kidz Foundation and Wal-Mart’s identities. The end results were individually constructed marketing collateral to be used each year for the partnerships’ annual charitable event.